It is dominating the market in Europe with near 3 motorhomes out of 4 built on a Ducato base. The long string of international awards continues uninterrupted for Ducato, the hero of the Fiat Professional brand. 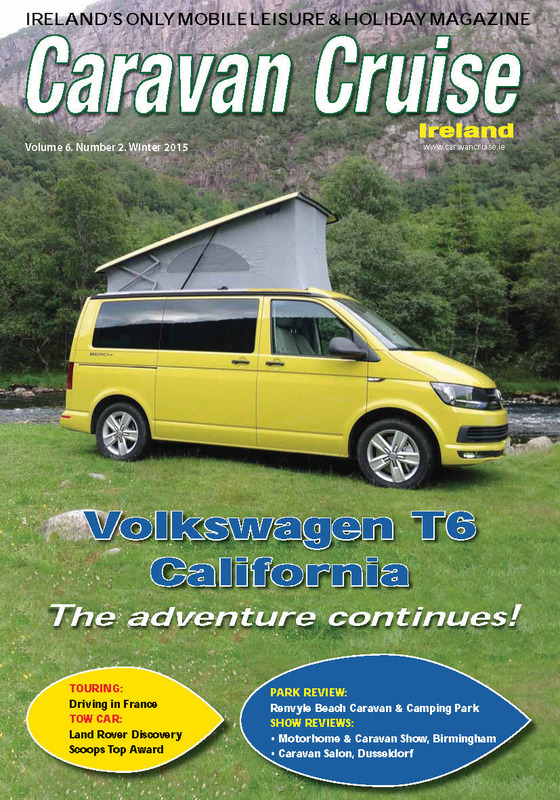 For the twelfth time in a row, it has been named “Best Motorhome Base 2019” winning over many very respectable competitors. The prestigious award was bestowed by the readers of “Promobil”, the specialised German magazine that for over 25 years has been a key reference for trends in the motorhome sector. The latest important accolade confirms the trust placed by customers on the Ducato as the ideal base for leisure activities, confirming this extraordinary Italian success story on the roads of the world. Not by chance, it is the only vehicle base expressly born to become a motorhome in a constantly growing sector. Also in 2018 new registrations were up by more than 10% compared to the previous year as further proof that motorhomes are more than ever “lifestyle enablers” to enjoy the freedom of going wherever, whenever and not just holiday vehicles. Today, three out of four motorhomes sold in Europe are Ducato-based and over the past ten years 500,000 families have chosen a Ducato for their RV. This leadership reflects the capabilities of the Fiat Professional best-seller for driving the motorhome-product evolution, anticipating the needs of users from the very beginning. 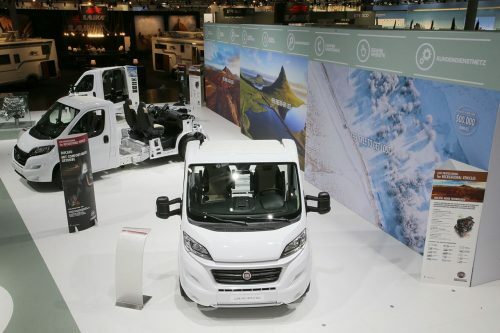 It comes as no surprise that the first Ducato motorhome base was a major step forwards from the technical point of view to adapt to the specific needs of recreational vehicles. The first was front-wheel drive and transverse engine to clear usable room behind the cab. From generation to generation, each Ducato has introduced innovations aimed at improving recreational vehicles in terms transformability for converters and in terms of usability for camper van users. Not by chance, the Ducato motorhome base has constantly evolved by teaming up with the most important motorhome manufacturers, offering over time special, lower and lighter chassis, wider track, cut and consolidated roof cab, squared shape designed to the exploited in a wider range of ways and, in general, an excellent proportion of volumes and a very favourable ratio between mechanical dimensions and usable space. Ducato has always offered modularity, driveability and versatility, features which – in brief – have ruled its success together with constant innovations smart solutions aimed at improving the quality of life on-board, such as swivelling captain chairs. Freedom is the promise to customers that Fiat Professional will always be on hand with solutions to any problem they may encounter during their holidays. Ducato is also the Leader because the brand offers a unique, unrivalled series of special services for the motorhome world. Ducato motorhomes are continuously progressing in terms of product and of dedicated services that revolve around motorhome holiday making. The ability to listen to Customers – which starts in the Customer Care Centre and continues in the Fiat Professional workshops – indeed not only makes it possible to respond efficiently to current needs, but also to anticipate them. Twenty-four hours a day, seven days a week, motorhome users can call the dedicated Customer Care Centre and speak with one of the twenty Fiat Camper Brand Ambassadors in their own language. The Ambassadors’ mission is to solve the problems of customers as quickly as possible by interfacing with them and coordinating with everyone involved to ensure constant dialogue under the sign of understanding and expertise. For this reason, the dedicated team members are constantly trained and updated. They attend the major European sector-specific trade shows to keep abreast of trends and closely follow the motorhome world. This full range of services all tailored to the needs of motorhome customers also includes the indispensable “Maximum Care Camper” international warranty extension, which provides coverage on all mechanical and electrical components of the Ducato offering different durations. 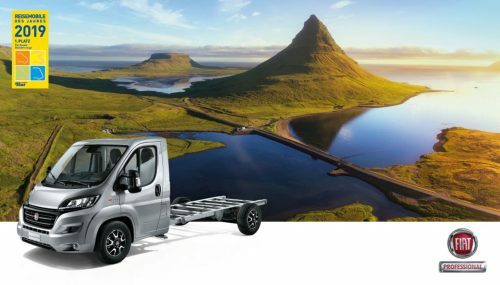 Ducato Motorhome users can rely on over 6,500 Fiat Professional workstations equipped to maintain and repair Ducato-based campers, including over dedicated 1,800 Fiat Camper Assistance centres. For many years, Fiat Professional has been following and providing valuable assistance for motorhome users, as confirmed by attending more than ten specialised motor shows across Europe every year, a dedicated website www.fiatcamper.com that counts more than 86,000 monthly visits on average, the “Fiat Ducato Camper” Facebook page that has more than 60,000 fans, and from this year also the brand-new FiatPro4RV Instagram page. Furthermore, Fiat Professional invests time and resources to continuously improving dedicated products and services created in collaboration with Mopar, the reference brand for services, Customer Care, genuine spare parts and accessories for FCA brands. Ducato Fiat Professional is “Leader in Freedom” because product and service excellence guarantee maximum flexibility and freedom to users. This positioning has been consolidated through activities and actions which are coherent across all contacts with customers also in communications, from the ten international shows that the brand attends every year to advertising on major media in ten different countries across Europe. This year marked a further step forwards in this direction, with the creation inside Fiat Professional brand of the new “Fiat Professional For Recreational Vehicles” identity, announced in the specialised motor shows starting from Düsseldorf in August, to reassert its leadership and specialisation in the category.